New for winter Love Heart Cufflinks. They come in a range of fun colours and messages for you to choose from. 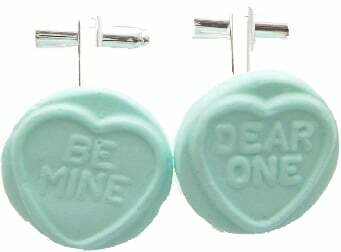 The Love Heart cufflinks comes with two seperate messages of your choice. * Due to popular demand some colours/messages may not be available. If you would like a message which is sold out, please email us and we will try to restock it.